Kozhikode is one of the most popular backwater destinations in Kerala. Tourists come from far away to experience the lush green spice gardens, the tranquil beaches, the scenic countryside and warm Kerala population. Shopping in vibrant bazaars and wildlife excursions in nearby sanctuaries are ideal tourist activities in Kozhikode. Because of increasing tourism in the city, numerous comfy and luxurious hotels are constructed within every inch of the city. All the hotels in Kozhikode make sure those who stay in here can make the best of their Kozhikode backwater tours. Most of these hotels arrange for backwater rides on Kerala traditional houseboats which is an engagingly romantic activity preferred among tourists. The best feature of Kozhikode hotels is that authentic culture of Kozhikode is summarized in every corner of these hotels. 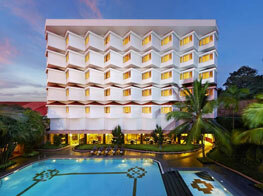 Staying in these hotels is an ideal way to be introduced with the rich heritage of Kerala. The food of Kozhikode is largely influence by Arabic cuisines. In these hotels, these delicious cuisines are served to guests so that they can have their culinary dreams fulfilled. 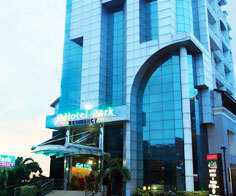 Check the list of hotels in Kozhikode and decide where you would like to stay.